Cylindrical permanent magnet sealed at the end for removal or inserting of bars. We are Manufacturer Exporters and Suppliers of Plastic Retriever / Policeman Magnetic Stirrer at wholesale competitive prices from India. 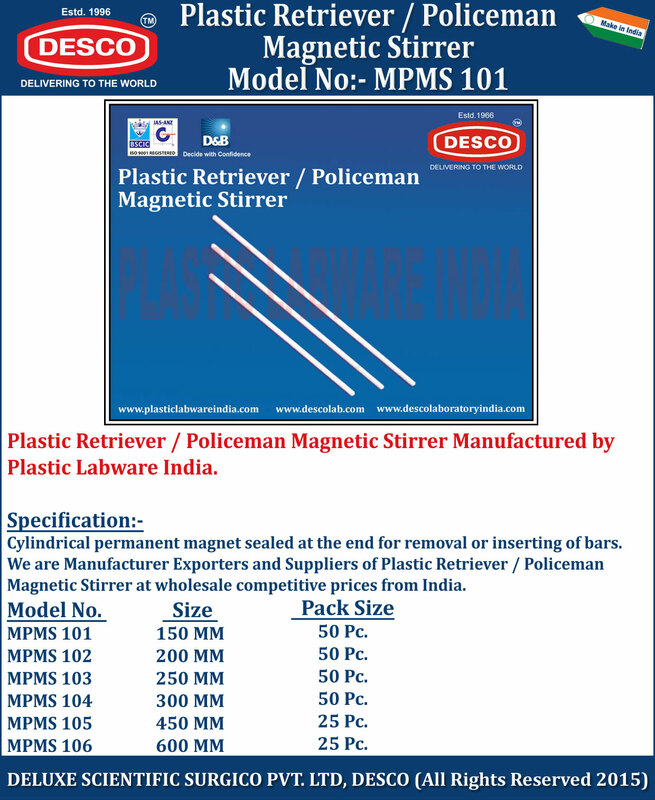 MPMS 101 150 MM 50 Pc. MPMS 102 200 MM 50 Pc. MPMS 103 250 MM 50 Pc. MPMS 104 300 MM 50 Pc. MPMS 105 450 MM 25 Pc. MPMS 106 600 MM 25 Pc.